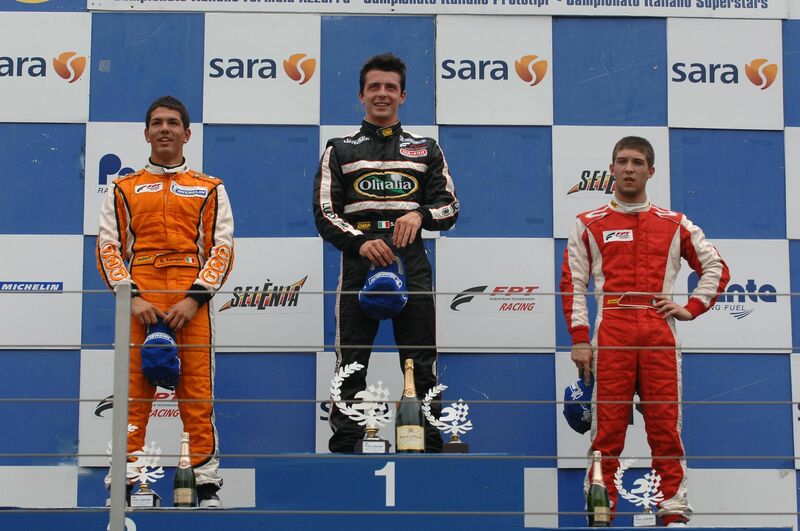 21/09/2009 - Team Lucidi Motors back to the success at Vallelunga with Sergio Campana in the seventh round of the Italian Formula 3 championship 2009. After qualifying on Saturday, premises seemed to be quite positive for the races with Campana author of the third place, less than two tenths from the pole position; middle of classification for Edoardo Liberati, tenth, and Francesco Prandi, twelfth. In race one, Campana has been skilled to get the lead overtaking Zampieri and Zipoli. The driver from Modena kept the leadership until the chequered flag obtaining the third seasonal victory. One point for Prandi, tenth, while Liberati has been involved in an accident forcing him to an early retirement during the first lap. 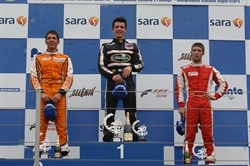 In the second race, held under the rain, Campana obtained two positions crossing the finish line fourth and taking to 29 points the booty of his weekend. At the margin of the top-ten, Liberati, eleventh and protagonist of a good recovery started from the back of the grid, while Prandi closed thirteenth. "After several unfavorable episodes we have been back to the success: Campana has been very good in race one's start and after that he ruled setting also the fastest lap. Points in race two keep him in the title fight that will probably be decided at Monza on the very end. Prandi is back into points, while Liberati's weekend, despite a good recovery in race one, has been spoiled by the accident in race one". The final round of the season is scheduled for 18 October at Monza.